The Japanese economy is the second largest in the world and is becoming once more one of the most competitive. Despite the stagnation and deflation experienced during the 1990s, Japan has progressively become more aware of the need to be a global player, in particular under the radical administration of former Prime Minister Koizumi. A vigorous approach to intellectual property borrowed from the US and Europe, stressing the importance of innovation, assisted in kick-starting the Japanese economy again and has sustained its increasingly high performance. 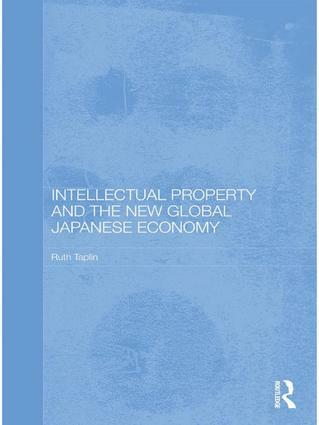 This book examines how Japan has used this new approach to intellectual property (IP) to revitalise its economy. It explains how IP has traditionally been used in Japan, and goes on to identify the ways in which this has changed in recent years, identifying the different facets of IP utilised to propel the Japanese economy to new heights: Firstly, by promoting IP through Technical Licensing Organisations (TLO) laws and uniting the universities with the needs of industry. Secondly, via radical changes to employees’ rights to compensation through the landmark decisions made by the Tokyo District Court. Thirdly, by the streamlining of patenting applications and procedures through the Tokyo and Osaka District IP Courts, and the Japanese Patent Office. Fourthly, by internationalising its capital markets, as displayed by the cooperation between the Tokyo Stock Exchange and the London Stock Exchange (LSE) and other bourses. Overall, this book is essential reading for all those interested in understanding the modern Japanese economy, and how it is adapting to exploit the opportunities and challenges of an increasingly globalised world.